It's time for our third "My Baby Bump Maternity" Giveaway! Join me in extending a big congratulations to Catherine, the creator of My Baby Bump Maternity, who is expecting her third child. Now she can model her own adorable maternity tees! 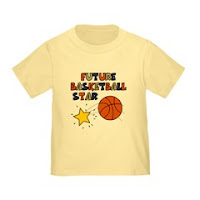 Here are some examples of what other things you can discover in her boutique . . . 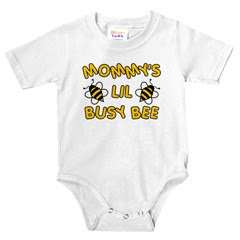 The prize for this contest is a onesie from the "Mommy and Me Collection" like the one shown below. 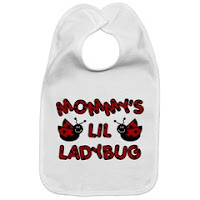 The winner will get to choose one design from this line on a onesie (sizes 6mos to 24mos) in one of 3 colors. This giveaway is for anyone with a mailing address within the U.S. You do not need to be a blogger to enter, but you must have a valid email address. If you enter anonymously and do not include a valid email address in your comment entries, I will not be able to notify you should you win this random drawing. You MUST do #1 to be eligible to win the prize. After that, #2 is an optional way to gain an extra entry. Please leave a separate comment for each entry. 1) Go to Catherine's blog 3 Kids and Us and take a minute to look around. Then leave a relevant comment for her on one post. Please make your comment 2 complete sentences or longer. You must come back here and post a comment telling me on which post you left your entry comment. 2) You can earn an extra entry by doing the same thing on this blog. You can make your comment on any post excluding any ABOG Giveaway posts. Comments made on ABOG Giveaway posts will be deleted. Don't forget to come back here and leave a separate comment telling me on which post you left your entry comment. This contest will be closed on Friday, September 5th, 2008 at 11:59pm EST. A random number drawing will be held shortly after. The winner will be announced here and will be contact via email or through their blog. If the winner does not respond within 48 hours, a new number will be drawn. Good luck in the drawing! !